sur 22 janvier 2018 13 octobre 2018 By C. G.
Winters in Montreal are very cold – just a couple of weeks ago, the temperatures dropped to -20°C and with the wind chill factor it felt like anywhere between -35°C to -40°C. Needless to say, it takes a toll on your skin and leaves some serious damage. In my case, the area around my mouth gets hit really hard, I get huge patches of dry skin that can’t be fixed with the use of a regular moisturizer. And my hands get hit real bad, too. From patches or rough skin that form on my knuckles to painful cuts that eventually end up bleeding… let’s say I need some serious help. 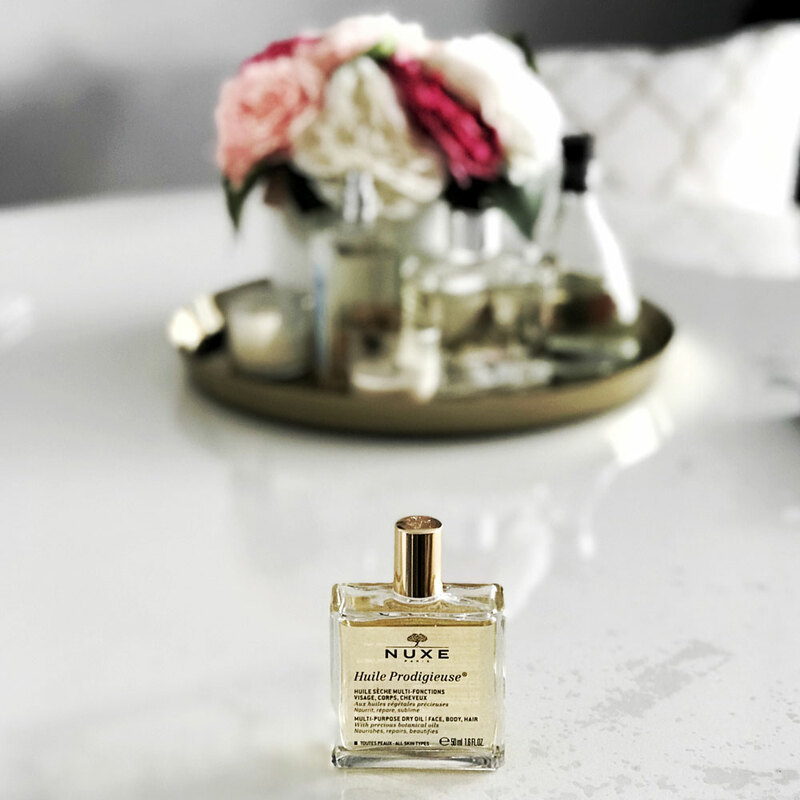 I’d always seen people posting photos of Nuxe’s Huile Prodigieuse on social media and raving about it, and always wanted to try it. I finally purchased a bottle over the summer but didn’t really get to use it on a regular basis until now. And boy am I glad I did… I use it once daily and it has made an INCREDIBLE difference in my case. The rough patches on my knuckles are gone, I haven’t gotten any cuts since I’ve used it and most importantly (since it was the most embarrassing issue), the dry patches on my face are completely gone… it’s crazy. But the craziest part is, I didn’t even have to use it for a long time before seeing a difference. I literally started seeing improvement after 3 days. If you wanna get your hands on a bottle and are located in Canada, check out Hudson’s Bay, The Shopping Channel or your local pharmacy (most of them carry it). Ta récente photo sur IG avait justement piqué ma curiosité, mais là c’est clair que je vais me le procurer! !